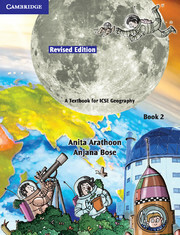 Know Your Planet is a series of ICSE Geography for classes 3, 4 and 5. 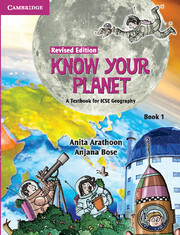 Know Your Planet is a series of ICSE Geography for classes 3, 4 and 5 which is based on the curriculum guidelines of the Inter-State Board for Anglo-Indian Education. The series introduces the young learners to the study of Geography in a comprehensive and enjoyable manner. While inculcating in them a sense of curiosity about the various facets of the planet they inhabit, the series also exposes them to the diverse groups of people living on the planet and their cultures. Besides, it also sensitises students to various environmental issues. Clearly formulated learning objectives at the beginning of every chapter. Environmental Education adequately covered in every book. Interesting facts on the environment to inculcate awareness and responsibility. In-text activities to hone thinking and reasoning skills. Exercises to develop vital life skills. Learner-friendly sketches and art-work to make the material appealing. Real-life images to arouse a sense of awe and wonder. Ideas for classroom activities and project work in every chapter. Web links in every chapter to facilitate research and project work.